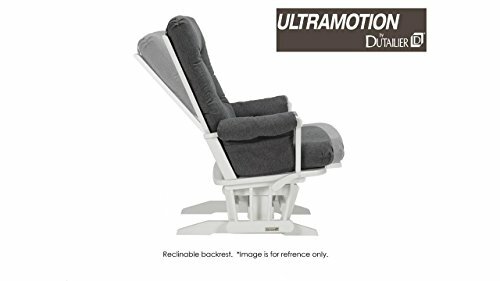 The new Dutailier Modern Grand glider with built-in nursing pillows makes life with baby just a little easier. 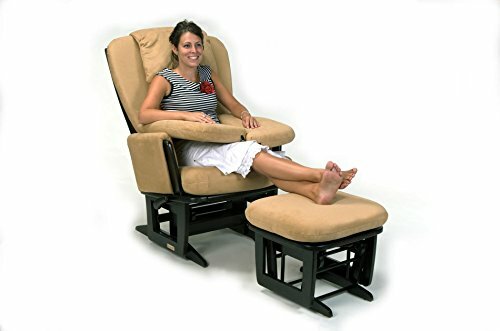 This reclining glider is fully outfitted with 2 nursing pillows, which when not in use discreetly tuck away for extra comfort as part of the back cushion. When in use, the right or left nursing pillow is simply detached from the back cushion and lowered into the nursing position, as seen on the pictures. 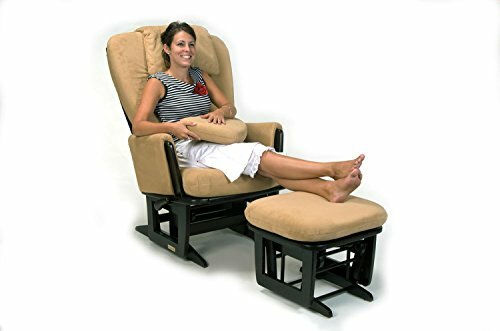 Furthermore, this top of the line glider offers almost an extra 4 inches of seating space for any parent to cuddle comfortably with their child. The exclusive Dutailier gliding mechanism allows for an extra long and smooth gliding movement. 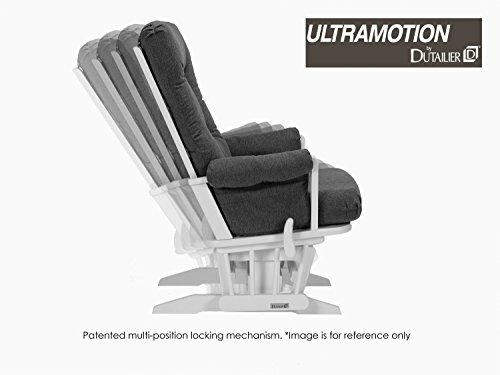 Its multi-position mechanism stabilizes the glider in 6 different positions and makes it easy to sit in or step out of the glider while holding your baby. 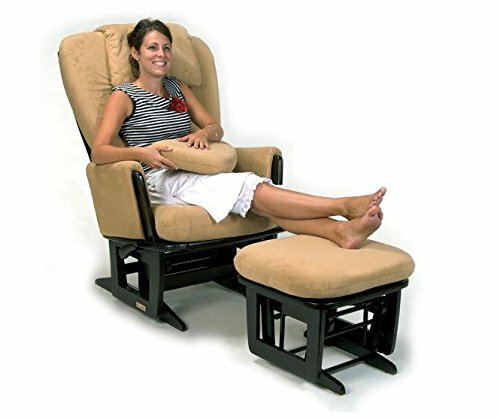 In addition, the reclining system makes the backrest fully adjustable to suit your preferences. 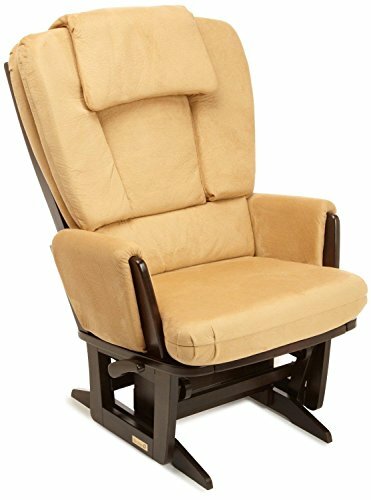 Buy Dutailier Nursing Grand Modern Glider Chair with Built-In Feeding Pillows, Espresso/Camel at Discounted Prices ✓ FREE DELIVERY possible on eligible purchases.